Randy Schekman, a professor of molecular and cell biology at UC Berkeley and winner of the 2013 Nobel Prize in Physiology or Medicine, will deliver the 2016 Robert L. Sinsheimer Distinguished Lecture in Biology at UC Santa Cruz on Thursday, May 5. Schekman's talk, titled "How cells traffic and export proteins," will take place at 7 p.m. in the Colleges Nine/Ten Multipurpose Room on the UCSC campus. The event is free and open to the public. Schekman will describe the cellular trafficking system that packages proteins in membrane-bound sacs called vesicles, transports them within the cell, and delivers them to the outside of the cell. This pathway is involved in secretion of hormones and enzymes and growth of the cell membrane. Schekman studied this secretory pathway in yeast, and follow-up studies confirmed that higher organisms, including humans, share most of the genes involved in the yeast secretory pathway. Schekman is now applying his findings to investigate human diseases involving problems in the secretory pathway. 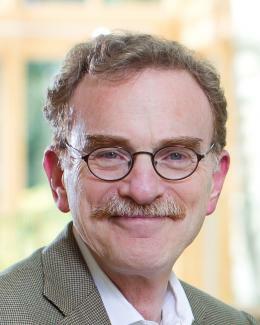 Schekman is a Howard Hughes Medical Institute investigator and a member of the National Academy of Sciences. He has received many awards and honors for his achievements, including the Albert Lasker Award for Basic and Clinical Research, the Gairdner International Award, and the Otto Warburg Medal of the German Society for Biochemistry and Molecular Biology. The Sinsheimer Distinguished Lectureship in Biology was established in 1992 by Chancellor emeritus Robert L. Sinsheimer and his wife, Karen. This event is sponsored by the UC Santa Cruz Department of Molecular, Cell, and Developmental Biology.